Formula 1 sporting boss Ross Brawn believes Bahrain served as a “wake-up call” to Mercedes after their fortuitous one-two finish. Mercedes would score another one-two finish at the Bahrain International Circuit to stretch their lead in the Drivers’ and Constructors’ standings, but only due to Ferrari’s misfortunes. Charles Leclerc was cruising to victory before dropping down to P3 with an engine issue, while Sebastian Vettel spun his SF90 during a battle with defending champ Lewis Hamilton. The Scuderia had dominated the entire race weekend, and Brawn believes that pace should send a strong message to Mercedes who have dominated the sport since the turbo-hybrid era began in 2014. “If you record two one-two finishes in the first two races, you should be in seventh heaven, believing you have dealt a severe blow to your rivals’ hopes,” Brawn said in his post-Bahrain Grand Prix debrief. “And yet, on Sunday, Mercedes boss Toto Wolff openly admitted that while it had somewhat unexpectedly finished ahead of the rest in Melbourne, practically unchallenged, it was a very different story in Bahrain. “If it hadn’t have been for Leclerc’s loss of power, Hamilton would have had no chance of attacking the Ferrari, nor would Bottas have finished second, a result that means he keeps his Championship lead. “Mercedes are aware of the real situation and they have to fight back against what is clearly a very competitive Ferrari this year. It was a heartbreaking race for Leclerc who was robbed of a first win in Formula 1, but Brawn was very impressed with his performance, and is certain that the 21-year-old will be back on top very soon. 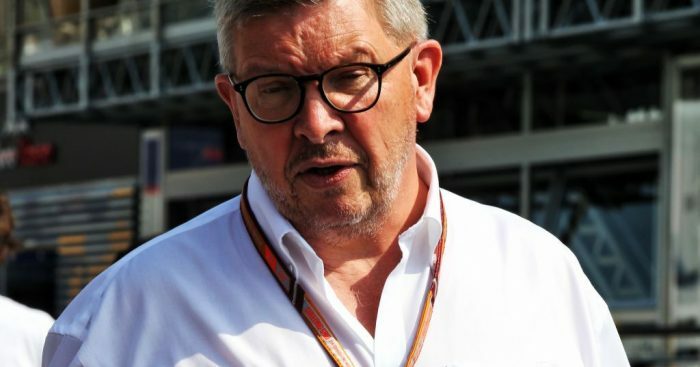 “F1 can be a really cruel sport,” said Brawn. “In Bahrain, after being fastest at almost every stage of the weekend – with the exception of a short period after the start yesterday – Charles Leclerc was living the dream. “But then, with just a few laps to go his power unit began to play up and he slowed to the extent that both Mercedes got past him. “It was a devastating blow for both driver and team, but especially for Charles. “However, his fall to third place doesn’t take away from what was a brilliant performance the talented Monegasque youngster delivered. “The way in which he regained the lead after a handful of laps, the skill with which he managed his tyres in what was a particularly difficult race due to the blustery sandy conditions, was majestic. “I also appreciated how composed he was in dealing with what happened at the end of the race. “That showed a great deal of maturity, a trait that will serve him well in the future.